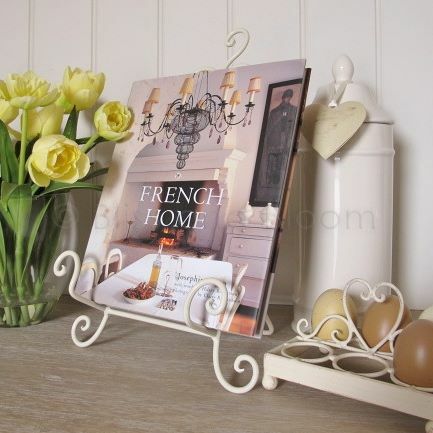 Very pretty cream recipe book holder. 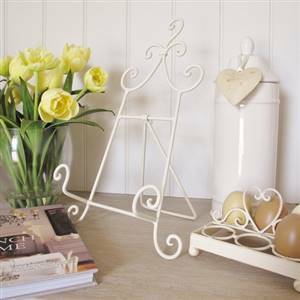 Beautiful scrolled metal stand. H 39cm x W 24cm x D 17cm (with stand open) All accessories shown are not included.